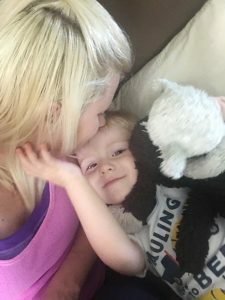 When I found out I was pregnant with our first child, my husband and I both hoped for a baby girl. There is something so magical about tiny pink shoes, lavender onesies, and the vast array of bows. I walked through clothing aisles and was brought to tears in the girl’s department. So. Many. Tiny. Cute. Things. I created a Pinterest board of ‘mommy and me’ outfits and dreamed of getting lunch and manicures together when my daughter was older. I envisioned her prom, her wedding, and all of the wonderful events we would participate in together. So, imagine my disappointment, when during our gender reveal ultrasound, I heard the words “Oh! I think I see something!” You don’t claim that you see ‘something’ if it’s a girl. 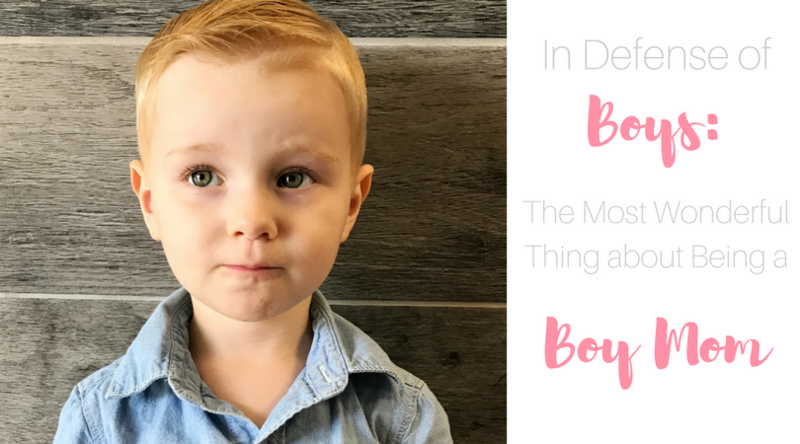 It was official… I was about to become a boy mom. Oh, I knew I would love him to pieces. There would probably be times when I was borderline obsessed with him, in the best possible way. I just mourned the loss of all things delicate and feminine. I remember speaking to a lady at church when I was pregnant. This lady had both boys and girls and told me all of the wonderful things about having boys. She told me that there’s just something special between boys and their mom’s; that her sons were her little helpers; her prince charmings. They would run ahead and exclaim “mommy! I’ll hold the door for you! I’ll help you carry the bags!” I didn’t listen because all I could focus on was the fact that my child’s clothing options were limited to baseballs and vehicles. But do you know what actually happened? I turned into a big puddle of mush. I generally have a pretty tough exterior, and it takes a lot to make me cry (I get that from my mother, NOT my father lol). And then I had a son, and now I cry at everything. Now, I’m not writing this as a comparison or trying to say that boys are better than girls. I now have two girls, and I adore their smushy little faces just as much as Theo’s. I’m sure one day I will do a post about the joys of being a girl mom. 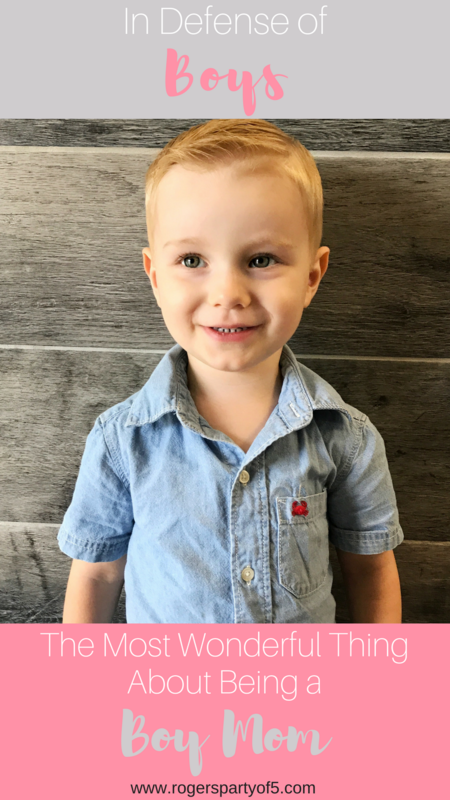 I’m writing this post today in defense of boys. I was at a party once, with a close friend, who was about 52 (ish) weeks pregnant with a little girl. Somebody was having a conversation with her about her baby; they were oohing and aahing over the fact that she was having a girl. “Baby girls are the best thing ever. I wish the joy that a baby girl brings to every single person in the world!” and on and on and on he went. I stood there defending baby boys in my head. You see, I have too many friends who have faced gender disappointment; too many women who mourn the loss of all things girly when they find out they are having a boy; I was one of them. Just a few days ago, I was at Trader Joe’s with the kids. We walked by the flower displays, and Theo stopped abruptly and looked at me. “Mommy!” he said with a huge grin on his face. “Mommy, would you like some flowers?” He then gently selected a beautiful bouquet of flowers and marched them over to me. “Here, mommy. I would like to give these to you” he said, sweetly and earnestly. He then put his little hand on my face and gave me a KISS. My heart. Do you ever get that feeling in your face, where you know you’re about to ugly cry and you try so hard to hold it together? The feeling where your face is about to break from the pressure and your jaw is aching from your facial muscles working so hard to just not cry. I experienced that feeling in Trader Joe’s when my little 3.5-year-old son gave me flowers and I almost collapsed in a sobbing heap on the floor. I still dislike playing with trains and having John Deere stuff all over my house. But watching my son’s face light up when he gets a new train, or a T-shirt with a cement mixer on it (something I swore I would never do) is the best thing ever. Life is full of dirt and trucks, but also full of sweet kisses, saved especially for mommy. 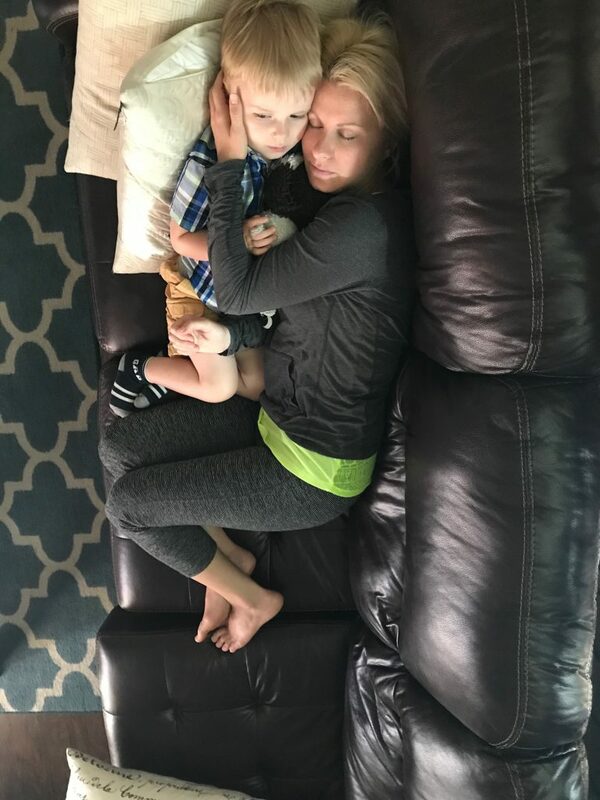 I always knew that I would love being a girl mom… but being a boy mom? That was something I questioned, something I worried about and it has brought me so much joy.